Book Genre Definitions – Where can you find the most accurate definitions to help you categorize your book correctly? This article explains. 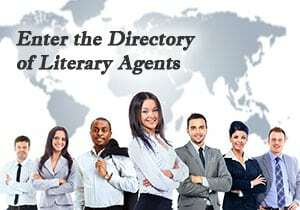 It’s part of a free multi-part training guide about genres of books, written by a former NY Times bestselling literary agent. One of the most challenging tasks for authors is determining their correct book genre. One reason is the disagreement between publishing professionals about book genre definitions. Another reason is the fact that there’s never been one book or website with a comprehensive (and accurate) list of book genre definitions. After I stopped being a literary agent and became an author consultant, I realized how much misinformation there was in books, and online, about book genres. The information is often written, or compiled, by people who aren’t publishing insiders. So their information is often a bit off. If you’re an author trying to get a literary agent and/or publisher, that misinformation can stop you from getting published. That’s why I created the Book Genre Dictionary. It’s fairly easy to figure out what genre your book fits into if you have a list of book genre definitions you can trust. So I hope you’ll take full advantage of the book genre definitions on this website. The definitions you’ll find here are the ones that I’ve used during my many years in the publishing industry. First, as a literary agent. Second, as the Marketing & Licensing manager of a well-known publisher. And now, as an Author Consultant. As I mentioned earlier, you’ll never come up with book genre definitions that everyone will agree on. But the definitions in our Book Genre Dictionary will satisfy most. If they’ve worked for me all these years, they’ll probably work for you. 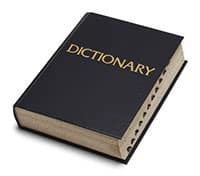 Now that you understand where to find the best book genre definitions, click here to see how our Book Genre Dictionary is organized, and get instant access to our comprehensive list of book genres.